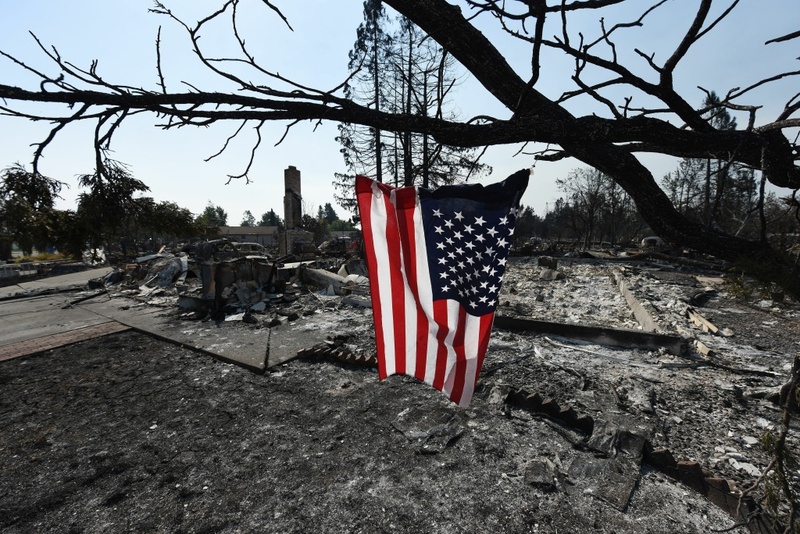 A US flag hangs on a tree in the widfire-ravaged Coffey Park neighborhood of Santa Rosa, California, on October 11, 2017. The warnings about impending doom came suddenly and in different ways. Frantic pounding on doors. Blaring fire alarms. Commotion outside windows. Awakened from a deep slumber in the dead of night, bleary-eyed residents of the Coffey Park neighborhood peeked outside and saw hell: burning debris raining down, smoke so thick it was hard to see or breathe and an encroaching wall of flame. "From a distance you could just see red. 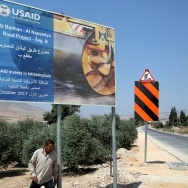 And hear nothing but explosions," said Dan Hageman, a 49-year-old construction worker. 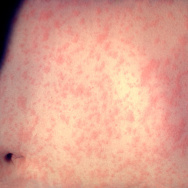 Hageman quickly sprayed down his house and yard, then fled with this wife. His home was one of the few that survived. 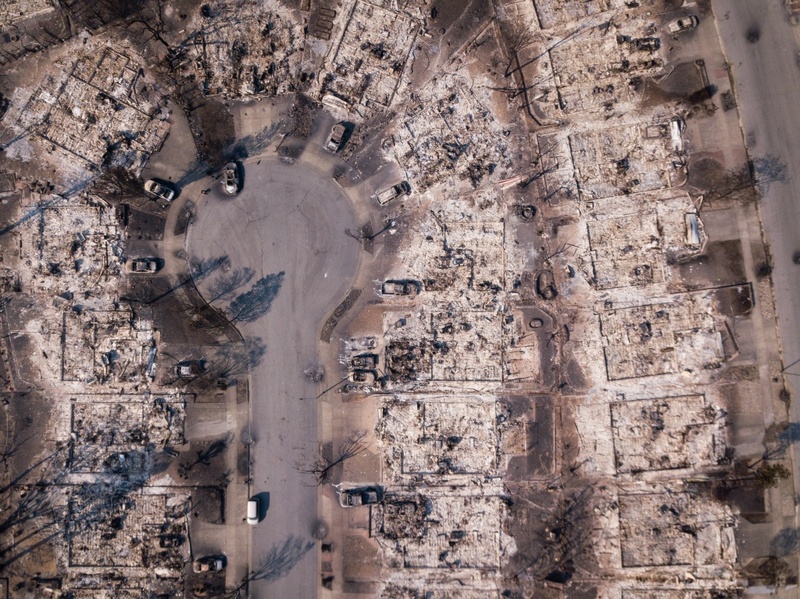 Fire damage is seen from the air in the Coffey Park neighborhood of Santa Rosa, California on October 11, 2017. Coffey Park, a square mile of middle-class homes and friendly neighbors on the northern edge of Santa Rosa, was among the hardest hit areas from the series of wildfires that broke out Oct. 8 in Northern California. 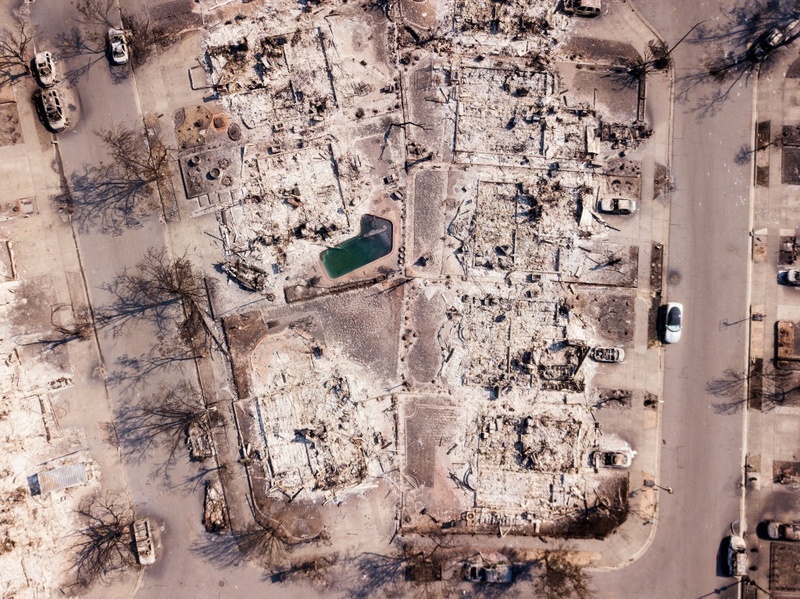 Dozens died, and thousands of homes were destroyed, 2,800 alone from the Tubbs Fire that scorched Santa Rosa. Fueled by fierce winds, the flames chewed up hillsides, jumped over a six-lane highway and sent thousands fleeing for their lives. Many had nothing but the clothes they wore, leaving behind all their possessions and a lifetime of mementos. At least two of the dead were killed in Coffey Park — a number that could rise once authorities sift through ash to see if there are bone fragments, teeth, medical devices or anything else that could identify human remains. 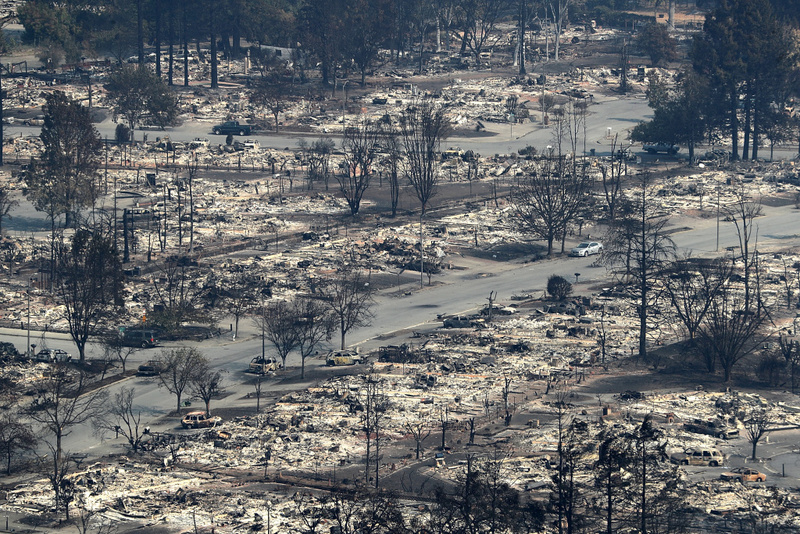 Extensive residential devastation is seen after wildfires ripped through the Coffey Park neighborhood of Santa Rosa, California on October 11, 2017. According to survivors, the fire hit Coffey Park when flaming embers blew across U.S. Highway 101 and ignited the businesses and homes around Hopper Avenue. From there, it jumped from house to house. When Andrew Ziegler, 46, saw flames outside windows, he scrambled to gather his 8-month-old dog while praying the power would stay on long enough for him to raise the garage door. "I had a puppy that wouldn't listen and I'm in a wheelchair," Ziegler said. "I figured the best thing to do was not be a burden on someone else, get the hell out of here." 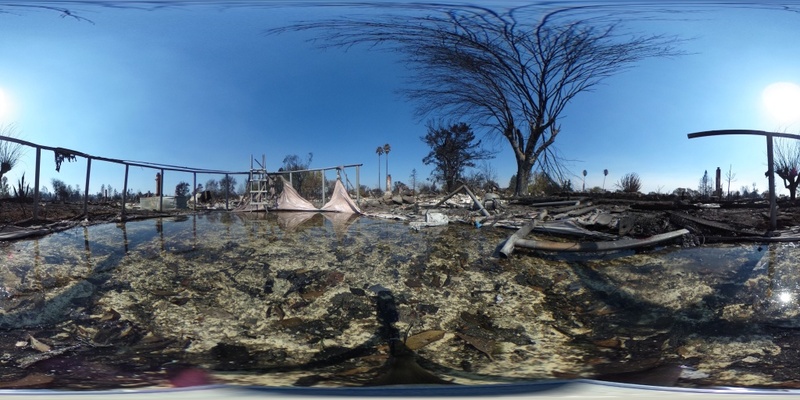 A 360-degree view of a home that was destroyed by the Tubbs Fire in the Coffey Park neighborhood of Santa Rosa, California on October 12, 2017. Several blocks away, Wayne Sims was becoming an amateur firefighter in a harrowing fight that saved his home. Awakened by smoke, the 62-year-old stepped outside to investigate. His neighbor across the street jumped in his car and came back to report that the fire had jumped the freeway. Sims sent his wife and cat away and did his best to spray down the home with a garden hose. 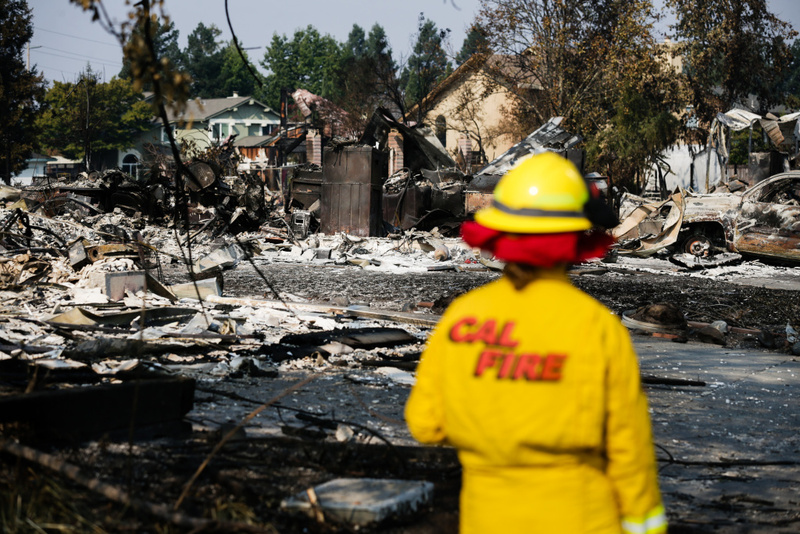 A Cal Fire employee surveys damage caused by the Tubbs Fire in the Coffey Park neighborhood of Santa Rosa, California on October 13, 2017. Down the street, he spotted a CalFire crew spraying water on a blazing home. "I said: 'You guys gotta come over here. That one's gone. You can save my house. Come and save my house,' " Sims said. "I was begging them. And they did. They came down here." Sims convinced the firefighters to give him their hose, so he sprayed down his own home and his neighbor's — using the water pressure to knock down his flaming back fence so he'd have a way to escape — while the pros moved down the street. They saved much of the cul de sac. 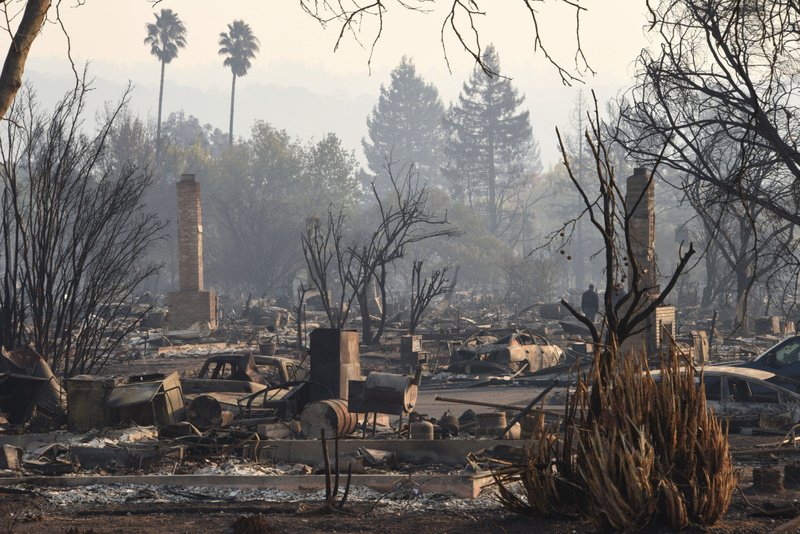 But by the time the sun came up Monday morning, most of Coffey Park was gone, replaced by a hellscape that looked more like a war zone than a suburban neighborhood. 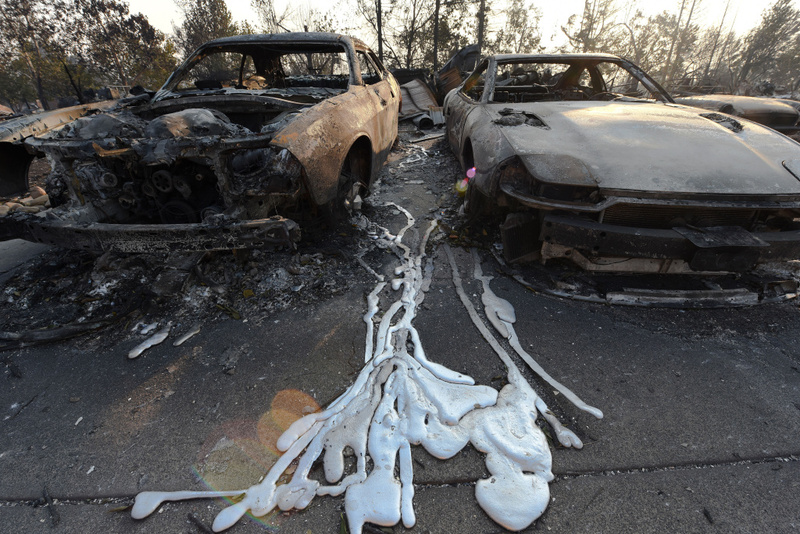 Melted metal from burnt cars is formed on the ground after wildfires ripped through the Coffey Park neighborhood of Santa Rosa, California on October 11, 2017. Houses were reduced to smoking piles of ash, leaving a thick cloud of smoke that burned the eyes and lungs. Orange flames spewed from broken gas lines. Vehicles were melted, their make and model indiscernible. A few were overturned, apparently when their gas tanks exploded and launched them into the air. And in the street were snaking yellow hoses, some still connected to blue-and-white hydrants, abandoned by overwhelmed firefighters forced to give up and flee. Monday was trash day in northern Santa Rosa, and the streets of Coffey Park are dotted with gray and blue trash cans left out the night before. Some melted, leaving behind a pile of recyclables in the street. But many somehow survived. When their owners return to destroyed homes, all they'll recognize is the trash they threw out before running for their lives. People who live in remote forested corners of the West accept the risk of wildfires as a fact of life. But Coffey Park is not in the forest. 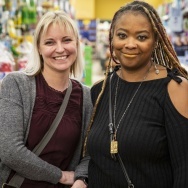 It's a suburban neighborhood where plumbers, painters, nurses and small-business owners made their home in two- to four-bedroom houses built mostly in the 1980s. Recent home sales were around $400,000 to $500,000, below the median home price for Santa Rosa, a city of 175,000 that is the largest in the world-renowned wine region of Napa and Sonoma counties north of San Francisco. Mayor Chris Coursey said the city lost 5 percent of its housing stock and suffered at least $1.2 billion in damage. Residents of Coffey Park say it is a special place. "You walk down the street, everybody says hi to you," said Anna Brooner, 57, the original owner of her home built in 1988. 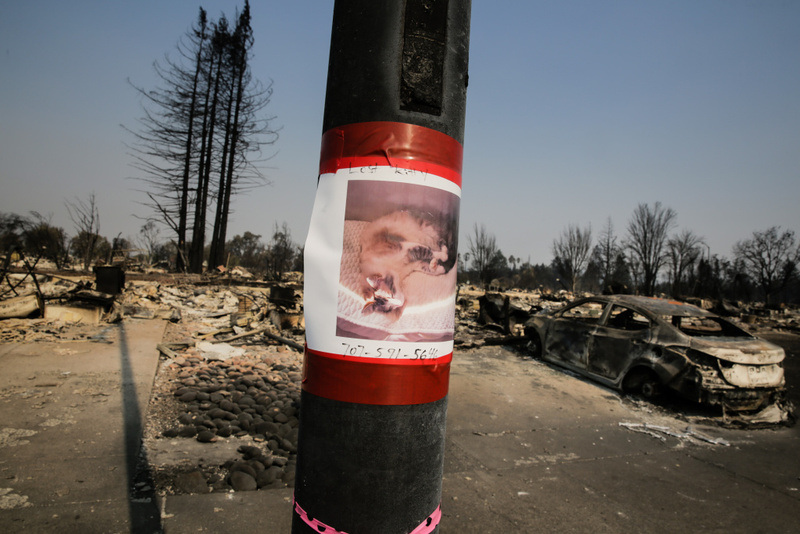 A lost cat poster is taped to a pole among the damage caused by the Tubbs Fire in the Coffey Park neighborhood of Santa Rosa, California on October 13, 2017. Leslie Garnica, a 17-year-old high school senior who was born and raised in Coffey Park, liked to open her blinds and window so she could see the three palm trees in her front yard as she lay in bed and listened to music. 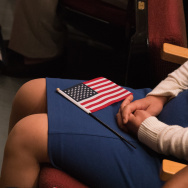 "This is all I've ever known, and it's kind of weird knowing that you have to start again, find something new," Garnica said. "This is what I'm used to. But I don't have it anymore."